POLSON — Malikai Mathew James Dodson was born on Nov. 10, 2018, at the Nesting Place Providence St. Joseph Medical Center. He was 19 and three-quarters inches long and weighed 8 pounds, 2 ounces. Malikai’s parents are Hannah Kinsey and Skyler Dodson of Polson. He has a sister, Mackenzie Willow-Rose Dodson. Maternal grandparents are Trisha and Mathew Kinsey. Maternal great-grandparents are Trudy and Steve Kinsey and Diane and Tony Parenzin. Paternal grandparents are Bobbie and Greg Goldberg and Allen Dodson. Paternal great-grandparents are Nina Milton, Carol Gambrel, Robert Gambrel and Linda and Steve Goldberg. POLSON — Jesse and Wylee White announce the birth of their sister, Racee Lorraine White. 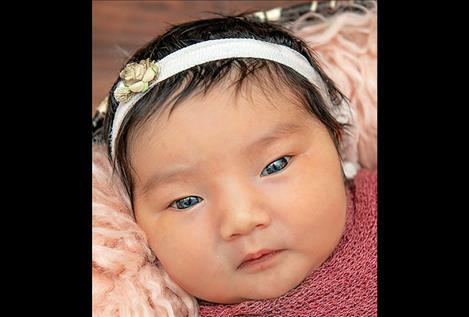 She was born Nov. 13, 2018, at the Nesting Place in Providence St. Joseph Medical Center. 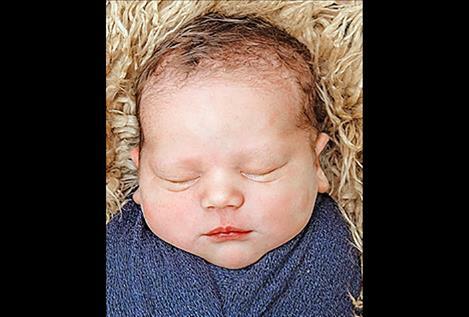 Racee was 20 and one-fifth inches long and weighed 9 pounds, 9 ounces. Racee’s parents are Shanna and Pete White of Ronan. Maternal grandparents are Robin and Ron Johnson. Paternal grandparents are Lorraine McDonald White and Robert White. 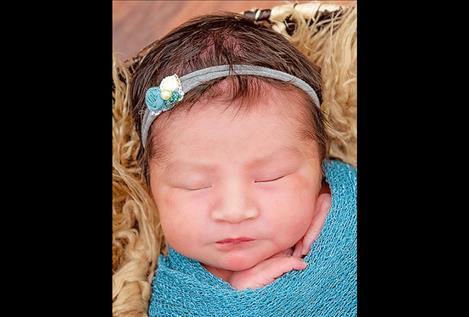 POLSON — Za’Liah Lynn Marie Quequesah was born on Nov. 11, 2018, at the Nesting Place in Providence St. Joseph Medical Center. She was 21 inches long and weighed 8 pounds, 2 ounces. Za’Liah’s parents are Chastity Johnson and Isaiah Quequesah of Ronan. Maternal grandparents are Annie and Tom Tenas. Paternal grandparents are Gwyn Hewankorn and Joe Quequesah.